On the occasion of the 52nd session of the CESCR, UNPO and the WUC have joined the discussion on the human rights situation in China and Indonesia to raise awareness on the violations suffered by minorities and indigenous peoples in the two countries under review. 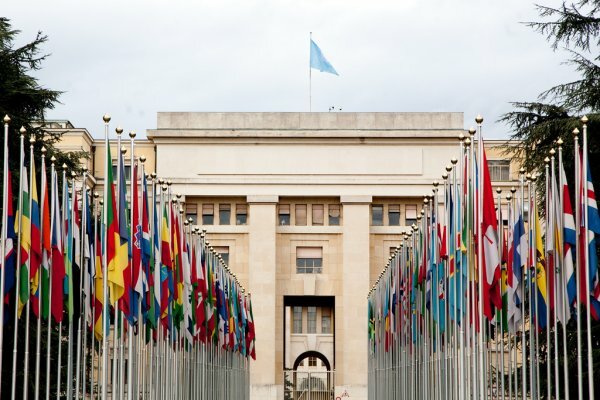 On the occasion of the 52nd session of the Committee on Economic, Social and Cultural Rights (CESCR), representatives of the Unrepresented Nations and Peoples Organization (UNPO) and of the World Uyghur Congress (WUC) have delivered statements in front of the Committee during the review of China and Indonesia. In March 2014, UNPO had submitted two alternative reports to the CESCR denouncing violations of the economic, social, and cultural rights of minority groups and indigenous peoples in China and Indonesia. During the review of these reports, UNPO joined the discussion between the Committee and Non-Governmental Organizations, which will ultimately lead to the formulation of final recommendations for the respective States. Particularly, on April 28, 2014, a representative of UNPO released a statement on behalf of three indigenous and minority groups that face serious human rights violations in today’s Indonesia: Aceh, Maluku, and West Papua. UNPO’s statement pointed out how the indigenous inhabitants of these regions experience a significant disparity in standard of living in comparison to other areas of Indonesia, as they lack access to basic services, such as housing, clean water, health care, and education. Furthermore, UNPO expressed its concern about the use of land-grabbing practices for the allocation of indigenous peoples’ customary lands for industrial projects that do not benefit the local communities. Indeed, these projects do not provide employment opportunities for indigenous inhabitants and often have negative consequences on the surrounding environment. Environmental degradation, in turn, threatens the health of the local inhabitants, and the transformation of customary natural areas may prevent indigenous people from carrying out their traditional cultural life, often connected to the natural environment. A week later, on May 5, 2014, UNPO president Mr. Ngawang Choephel delivered a statement regarding the implementation of the International Covenant on Economic, Social and Cultural Rights (ICESCR) in East Turkestan, Inner Mongolia, and Tibet. As expressed by Mr. Choephel, the minorities living in these three areas suffer from inadequate standard of living, especially when compared to the services available for Han Chinese. Additionally, the Uyghurs, Inner Mongolians, and Tibetans are faced with a lack of employment opportunities, which reinforces their widespread condition of poverty. At the same time, their freedom of expression and religion are severely limited. For example, all clergy needs to be officially registered by the Chinese government and cultural events are often restricted. Lastly, Mr. Choephel expressed UNPO’s concern about the forced relocation of nomadic herders at the hand of the Chinese government. The issue of herders’ relocation was further stressed by the statement delivered by the World Uyghur Congress (WUC) during the same review of China. Representing the Uyghur population in East Turkestan within UNPO, the WUC’s statement focused on the violations of the ICESCR particularly experienced by the Uyghur minority in China. The WUC representative brought attention to the marginalization of the Uyghurs from economic, administrative, and political bodies, as well as employment opportunities. Moreover, the WUC pointed out how the Uyghurs suffer from a lack of basic services, such as health care, in the context of a degrading natural environment. Similarly to other minorities in China, their religious, cultural, and language rights are also widely restricted.